Spring is quickly turning into summer in Chattanooga, and every year thousands of puppies and kittens are born without a home. Some of these animals live their entire lives outside with no one to care for them. Many end up in shelters waiting for adoption. However, two charitable organizations – Maddie’s Foundation and PetSmart Charities – have provided grants for ChattaNeuter so it may make 2018 a better year for cats and dogs by neutering and spaying them NOW. These two grants target specific conditions and neighborhoods in our area. PetSmart Charities is helping Chattanooga spay its way to a new day by supporting ChattaNeuter’s “Fix a Pit” program. Because pit bulls are a popular breed, there is an overpopulation problem in some areas, and many of these dogs end up homeless. 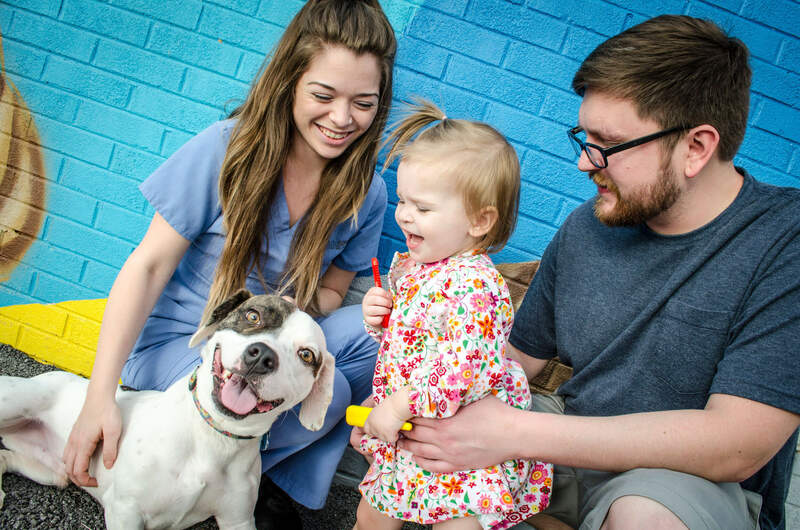 So, thanks to a PetSmart Charities grant, ChattaNeuter is offering free spays and neuters of pit bulls and pit bull mixes to all residents in the following eight zip codes: 37351, 37404, 37406, 37407, 37409, 37411, 37412, and 37421. Pitbull appointments are available Monday through Friday. Schedule online at www.chattaneuter.org or by phone at 423.531.SPAY(7729). Only a limited amount of grant money is available so make your appointment today before it runs out. Thanks to Maddie’s Foundation, ChattaNeuter is also offering free spays and neuters for feral and community cats found in the 37421 zip code. Residents and businesses in 37421, who have feral or community cats surrounding them, are encouraged to take advantage of this offer before the funds run out. All feral and community cats brought in from 37421 will be spayed or neutered, vaccinated for rabies, and ear tipped. This grant is not intended for house cats or outdoor pets. A feral cat is an unsocialized or wild cat that does not have an owner. A community cat may be socialized but lives exclusively outside and has no owner. Several homes or apartments in a neighborhood usually feed these cats. No appointment is necessary for feral and community cats. Cats may be brought by Monday through Thursday, at 8 a.m. Cats must be picked up the following day at 8:30 a.m. All feral cats must be in a humane trap; socialized community cats may use a carrier. Traps are available for a modest deposit at ChattaNeuter. Only a limited amount of grant money is available for these two programs, so please don’t delay. For more information visit www.chattaneuter.org or call 423.531.SPAY(7729).